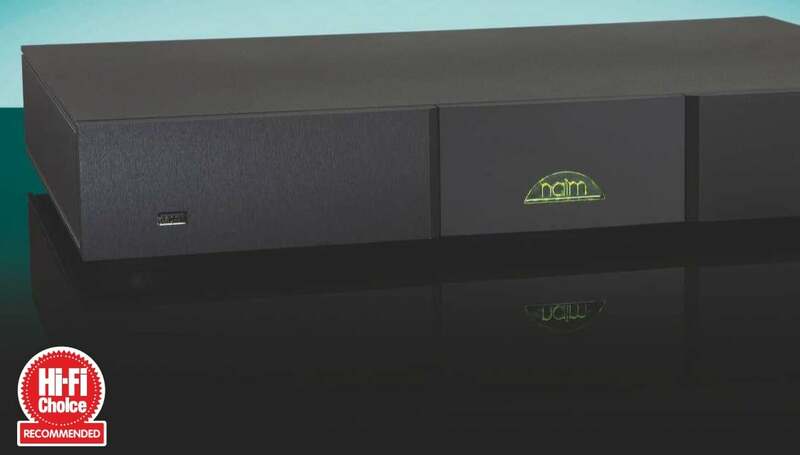 Streaming was in its infancy when Naim first launched its inaugural networked audio range, and was seen as a fairly radical direction for the Salisbury-based audio specialist to take. The move paid off, of course, as network audio today has become an increasingly popular way of listening to music for most of us and, thanks to its early product development, Naim continues to maintain its role as a key player in the burgeoning product sector. Following last year’s announcement to replace its long-running first generation of network streaming models that showcased for the first time at The Bristol Hi-Fi Show 2018, the ND5 XS 2 is the most affordable of three new solutions that extends all the way up to the ND 555 featured in this month’s Dealer Visit on p88. Each of the new models make use of the streaming platform that’s employed throughout the company’s Uniti product designs and provides PCM support up to 32-bit/384kHz via WAV file formats (24-bit/384kHz via FLAC and ALAC) and DSD support up to DSD128. Decoding is undertaken by a combination of a SHARC DSP that performs upsampling before sending the signal to a Burr-Brown PCM1791A DAC and outputs to a choice of stereo RCAs and DIN connections for analogue as well as a BNC coaxial digital output. There are also four digital inputs – one coaxial, two optical and a BNC. Beyond these core facilities, the ND5 XS 2 has a very wide selection of additional features. As well as playing home networked material, it offers access to streaming services such as Tidal and Spotify Connect. Internet radio is also supported and wireless connectivity is provided via Bluetooth with aptX HD, AirPlay and Chromecast Audio (up to 24-bit/192kHz), allowing users to send almost any music file or play their preferred streaming service from a portable device without the need for the software to be embedded within the product itself. As with its other networked products, the ND5 XS 2 is also fully multi-room compatible. Unlike its other streaming products, there are no physical controls beyond the button on the right to switch the unit into standby. With no front panel control, the ND5 XS 2 is completely app dependent but the good news is that its implementation is super slick, fast and effortlessly capable. Available on both iOS and Android platforms, it can also control a matching Naim amplifier or preamp so long as you make a physical connection between the ND5 XS 2 and the amp component using a 3.5-to-3.5mm link cable. As with all Naim products, it’s extremely well made although aesthetically I am in two minds about its decidedly minimalist approach. On the one hand, I like the absolute absence of any distraction from the business of listening to music that it offers and admire the confidence the company has to build a network streaming component that is completely dependent on its app. At the same time, it is a shame that Naim – which has developed some of the nicest displays showing album and track info in the past – has omitted the useful facility here. control and immediacy. Even the relatively stately time signatures that Dead Can Dance work to are still something that engage rhythmically. At the same time, the way that it handles higher frequencies has more in common with the company’s Uniti designs I’ve heard. Imogen Heap’s impassioned vocal turn in The Moment I Said It has an emotional content that my older Naim player gives a little less emphasis to and comes across as more real and believable without managing to sound bright or hard edged. It is surprisingly forgiving of less than brilliantly recorded material too. Hammer through No Tourists by The Prodigy and while the ND5 XS 2 will make it clear this isn’t an especially great piece of mastering, it doesn’t tear the recording to shreds. Even compressed material from Spotify and internet radio streaming services can sound seriously good and, unless you actively seek out the low bit-rate stations, rarely becomes completely unlistenable. Naim’s Tidal integration in the app is absolutely top notch and listening to streaming against content from my own download library has me struggling to tell the tracks apart. As with Roon’s music integration software, Naim’s app seamlessly assimilates with your existing networked library to fill in the gaps. Backing this up with the Chromecast, AirPlay and Bluetooth implementations builds on the idea of the ND5 XS 2 as a ‘digital hub’, although I feel that the lack of both front panel buttons and a remote handset introduce some rather awkward playback control moments along the way. Some of the strongest competition the ND5 XS 2 faces comes from Naim’s own models. It’s hard to ignore the Uniti Star one-box system (HFC 433), which has the same excellent features, plus a display and remote to make it more user friendly. The Classic duo has better bass and a little more drive – and offers more analogue inputs and upgradeability – but it is hard to ignore the bang for your buck that the one-box Uniti products offer.